In the early morning hours of 1 November 1954, small units of Algeria Muslims, organized by the Front de Libération National (FLN) attacked police posts, warehouses, communications facilities, and public utilities military installations. Their weapons were hunting rifles, shotguns, and home made bombs. The rising was accompanied by a broadcast from the FLN headquarters in Nasser's Egypt calling on Muslims in Algeria to join in a national struggle for the "restoration of the Algerian state, sovereign, democratic, and social, within the framework of the principles of Islam." Mendès-France sent paratroopers to show the French government's determination to keep Algeria French. The soldiers won applause from Algeria's settlers. Mohammed V visiting UC Berkeley in 1957. The idea of freedom from French rule had been encouraged elsewhere, including Cameroon. On July 13, 1955, France outlawed the political party the Union des Populations du Cameroun (UPC), which inspired the beginning of guerrilla warfare there. In 1955, amnesty was offered to Tunisia's guerrillas and autonomy for Tunisia, with French control over foreign affairs. But with the rivalry between the Habib Bourguiba group and a more radical group, the French relented and on 20 March 1956, gave Tunisia complete independence. Bourguiba became president of a “National Constituent Assembly” and was designated Prime Minister. During 1955, the French faced rising violence in Morocco and there was the demand that the French allow the return of Sultan Mohammed V. In late 1955, Sultan Mohammed was back in power and winning a gradual restoration of Moroccan independence within a framework of French-Moroccan interdependence. The Sultan agreed to institute reforms that would transform Morocco into a constitutional monarchy with a democratic form of government. 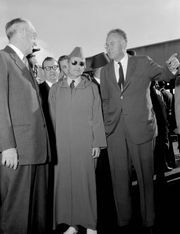 In February 1956, Morocco acquired limited home rule, and on March 2nd France and Morocco signed an agreement giving Morocco complete independence. 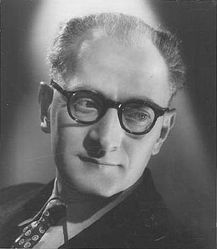 Guy Mollet, the new prime minister beginning 1 June 1956. Since January 1956, the prime minister (premier) of France was the socialist Guy Mollet. In March, Mollet received new authority to act against the rebellion in Algeria from parliament's Special Powers Law, passed in a 455 to 76 vote. The Mollet regime sent draftees to Algeria, and they were more like guards while the professional and more glamorous paratroops – about three percent of the total force – dashed from one fire to another. The FLN tightened its organization and began focusing on terrorism in the cities, mainly Algiers. Their stronghold in Algiers was the thickly populated Casbah, described by some as a slum. European settlers tried terror of their own. On August 10, they blew up an apartment building in the Casbah, killing at least fifty Algerians. The FLN retaliated with bombings at popular European hangouts. By 1 January 1957, the French had 308,000 soldiers in Algeria. On 28 January 1957, the UN was scheduled to debate the Algerian question; and for that day the FLN scheduled a one-week Muslim work stoppage in Algiers. France's General Massu broke the strike, forcing Muslims back to work and breaking in the storefronts of recalcitrant shopkeepers. That year, General Massu broke the FLN's network in Algiers. There were check points in the streets, but that was mainly show for reassuring settlers that something was being done. More significant actions were patrols from door to door during the day and night, the rounding up of suspects and questioning who was collecting funds for the FLN in the neighborhood. The French showed low ranking guerrillas they had captured documents describing other guerrillas as working for the French, and then they released these guerrillas. Some of those released fell for the trick, resulting in purging within the FLN. The army was able to track down FLN operatives and believed that torture was helping them do so. The French succeeded in forcing FLN soldiers to flee Algiers, and this success was celebrated by French hardliners and Algeria's European settlers. The French military made itself dominant across much of Algeria. In searching for suspects, the military was uprooting people from their homes and fields and putting them in camps. To escape the military, thousands of Algerians fled to Tunisia or Morocco and joined the FLN there. Military success was not producing political success. The FLN was able to continue its terrorism, killing persons here and there. The war was becoming a matter of which side would wear down the other first. A good bet would have been that the nationalism of the Algerian people, enhanced and broadened by the actions of France's military, would win against the European minority in Algeria and their rightist French supporters. The political right saw the matter in terms of military victory or surrender to terrorism, and they feared a political solution. 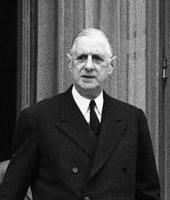 Charles de Gaulle, prime minister in June 1958, president in January 1959. In the spring of 1958, military leaders and European settlers in Algeria staged a mass demonstration in Algiers directed against any attempt in Paris to form a government that would make concessions to the Algerian Muslim nationalists. In France, political leaders of various persuasions turned to Charles de Gaulle as the one person who could solve the divisions created by the war. On 1 June 1958, the lower house of parliament (the National Assembly) named de Gaulle prime minister and granted him wide emergency powers, including the right to prepare a new constitution to be submitted to a popular referendum. In September 1958, the new constitution, providing for a presidential system, was overwhelmingly adopted by 83 percent of the electorate. In December, de Gaulle was elected president of France's new Fifth Republic by 78 percent of France's electoral college. He was inaugurated in January 1959. Michel Debre became the first prime minister of the Fifth Republic, but the president retained the decisive voice in all matters involving foreign affairs, national defense, and even key domestic policies. De Gaulle was concerned about France's economy and its position among the world's bigger powers. As Senator John F. Kennedy observed in the United States, the war in Algeria was opposed by most Asian-African nations, a Cold War liability and a detriment to economic interdependence between France and those historically associated with France. De Gaulle believed that while the war in Algeria was militarily winnable, it was not good politics. France's defeat in Vietnam had disillusioned de Gaulle concerning French colonialism. He wanted accommodation with those historically tied to France, not war. In 1958 France replaced the colonial association called the "French Union" with the " French Community." Members of the French Community were to have substantial autonomy, with France controlling only the currency, defense, and national security strategy. De Gaulle specified that any country within the community would have the option of moving to complete independence. By 1960, de Gaulle believed it was a dreadful mockery to claim that Algeria's Muslims were French. In January, he dismissed General Massu. Massu was a hero to the European settlers, and they erected barricades in the center of their part of Algiers. French gendarmes ordered the settlers to disperse, and the settlers killed 14 gendarmes and wounded 123, while six settlers died and 26 were wounded. In the summer of 1960, de Gaulle spoke of Algeria as being Algerian (Algérie algérienne). In his New Year greeting to his fellow French he spoke again of Algeria as belonging to the Algerians. In April 1961, France's army commanders in Algeria revolted. A "Secret Army Organization" was created that was intent on keeping Algeria as French, and an attempt was made to assassinate de Gaulle. In a referendum on Algerian self-determination, 75.2 percent of the vote in France was in favor. In March, it was announced that there would be talks between the French government and representatives of Algeria's Muslims. The talks dragged on into 1962, with the status of Algeria's European settlers an issue and France unable to win recognition of part of the Saharan desert as not Algerian. In September, de Gaulle abandoned his desire for the desert areas remaining separate. The Muslim negotiators assured the French that the European settlers would not have to fear reprisals but the French wanted specific guarantees, while the European settlers were seeing their alternatives under the Muslims as either "the suitcase or the coffin." Almost everyday a settler was killing a Muslim and a Muslim was killing a settler. The Algerian negotiators insisted that everyone who remained in Algeria were to be Algerians, not French. Finally, on March 18, 1962, at Évian-les-Bains, on the French side of Lake Geneva, a 98-page agreement was reached. The conflict, never called a war by France's government, was finished. The Europeans, it was agreed, would receive seats in Algeria's public assemblies in proportion to their number. On July 3, Algeria became officially independent. Meanwhile, another big migration was underway. Around 800,000 of those in Algeria of European descent – an overwhelming majority – were moving to Europe.